Back in September, Google began testing a new iGoogle design and now it seems more are seeing that test. A Google Web Search Help thread has one person stating he sees the new design. Even the Google Operating System posted about it with detailed screen shots of how it looks. As you can see, the new iGoogle is less colorful, and more the new bland white dull feeling of the new Google look throughout the various properties. 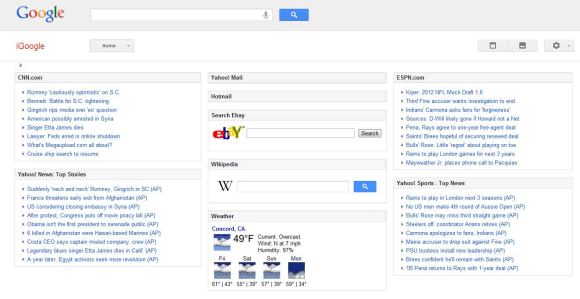 One of the users who is now seeing it said, "center the search bar at the top of the page! and why have a collapsible left nav, if all it does is hide 'chat' which no one uses anyway?" Clearly, they are not happy with it, but the ones that do post about this stuff normally are upset about something.